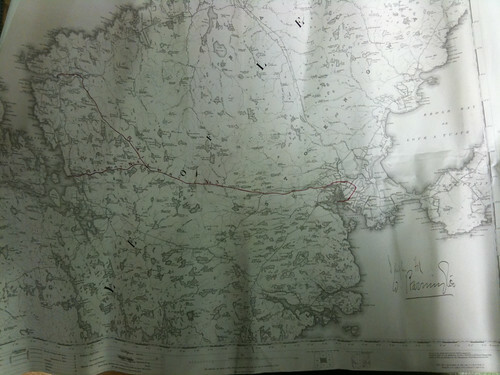 A while ago I was asked me if I’d post some details of the other line which formed part of the Hebridean Light Railway Proposal of 1898, namely railways 3 & 4 on the conjoined islands of Lewis and Harris (although the line would only have run on Lewis had it been built). As with the line on Skye, the line on Lewis is actually one line with a branch from it. 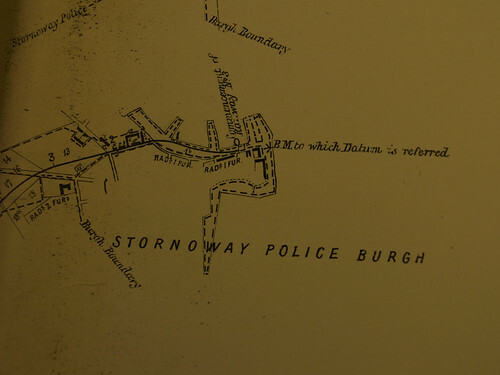 Railway 3 totalled a length of 18 miles and 7 furlongs and ran from Stornoway to Dunan pier. As you can see, it’s rather barren! 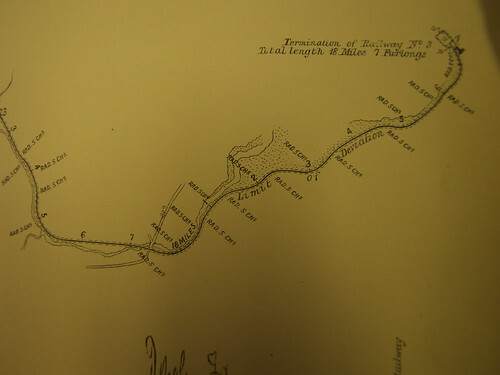 Railway 4 totalled a length of 3 miles and 7 furlongs from the junction with Railway 3, which was clearly in the middle of nowhere as the only description of the location is ‘in the parish of Uig’, or ‘at a point 366 yards or thereabouts south-east from the point where Railway 3 crosses Allt Mhic Ille Chetheir’. 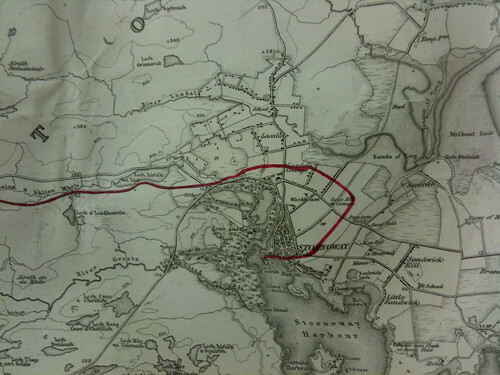 The other end of Railway 4 was Breasclete. 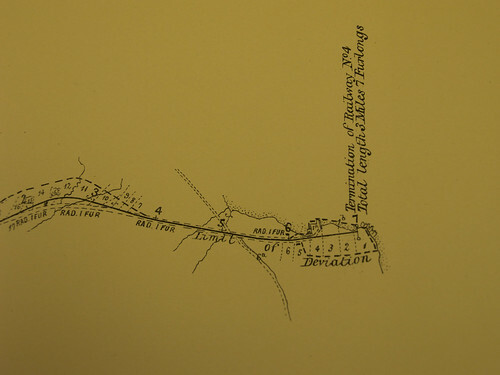 Rumours have been circulating that the Pentland Road was a conversion of a railway embankment that was built for the line but never used. 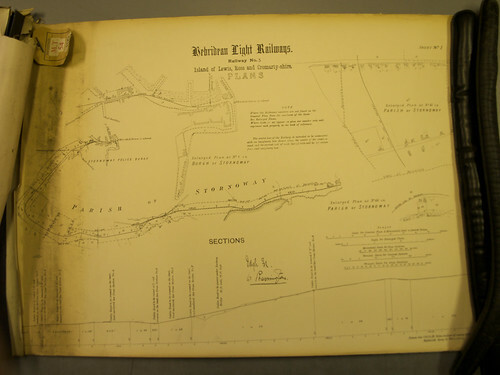 As you will see from the above, it makes reference to the railway ‘following the new road’, so the embankment certainly wasn’t part of this proposal and I’m not aware of any other proposals for Lewis and Harris other than the one referred to below which never got anywhere near construction to my knowledge. The gradient profiles and the existing ground levels which are annotated on the profiles seem less detailed than those for the line on Skye, so perhaps they were less serious about the proposal for Lewis. There is certainly a lot of remote line on it, but that didn’t stop the idea of a line on Lewis being revived by William Hesketh Lever at a later date also, although his finances and health rather ran out on him before he could see things come to fruition. The other details of the line contained within the proposal such as gauge, motive power, provision for platforms and signalling are the same as the proposed line that I am modelling on Skye, more details of which are presented in a post on my old blogger site. I have to confess to rather skipping over the details of Railways 3 and 4 and rather excitedly jumping to the stuff I was really interested in whilst there. However, I would like to visit the archives again at some point to have a much more detailed look through all the documents. The images in this post are reproduced from photos taken with permission at the National Archives, please don’t reproduce them without permission. This entry was posted in Scottish Narrow Gauge. Bookmark the permalink. This is very interesting, and am much obliged to you for highlighting this aspect of Lewis history. 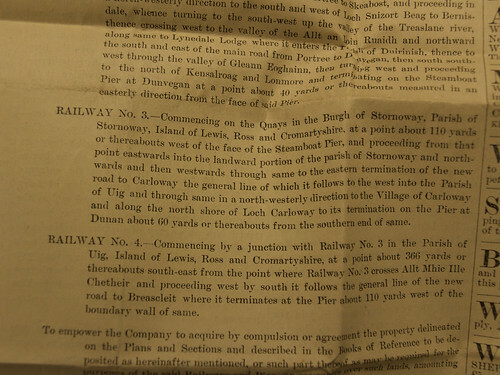 There was another railway in the island, namely from the brickworks at Garrabost to Stornoway; and some tracks in association with the Lewis chemical works on the Creed River, just off the present-day A859 Lochs Road to Tarbert. I wish you’d not posted this! Now got an idea…….! Just doing my bit to help get people building layouts… Go on, you know you want to!